A spinal cord injury is one of the most harrowing experiences that I have faced, however; it doesn’t mean that all hope is lost. After the damage of my spinal cord, there are certain changes occur in my life which allows me to adapt to a new lifestyle. However, I still keep my hopes alive. My surgeon told men that there are people with a similar situation and they have seen a significant improvement over time in those people. 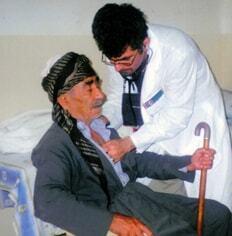 This positive attitude of my surgeon every day brings with new possibilities and hopes to live a normal life. After my spinal cord injury, I have also passed through enormous physical, mental, and emotional hurdles throughout my recovery. Traumatic Brain Injury (TBI) and Spinal Cord Injury (SCI) made my recovery exceedingly challenging. The spine surgeons initially hold my spinal cord injury recovery and treatment until they found the progress in me with Traumatic Brain Injury (TBI) therapy and treatments. For the longest time, I couldn’t figure out that it was my brain that wasn’t telling my legs to move, or it was my spinal cord injury. My balance was really interrupted. So it was very difficult for a while to figure out which injury was causing what. It was six to eight months before I initially figured out a diagnosis. The first year of my life was very critical as I was under video cameras which capture all that I do each day so when I wake up, I knew what I did the previous day and what my life looks like at that moment. The video cameras play a huge role in my recovery period. How the spinal cord injuries impact my relationships? It’s natural for the relationships between spinal cord injury survivors and their families to inevitably evolve or change after such a traumatic injury. I was very lucky that after my spinal cord injury my friends and family were very supportive throughout my treatment as it was difficult for them to understand or relate to what I was thinking and feeling. Although they were there to talk to me and tried their best they could, it wasn’t enough because they couldn’t relate to the same level. In much the same way, I had experienced some challenges at my office as well because no one truly understood the injuries and experiences I have gone through. I thank the surgeons at the hospital under Spine Surgery India who was there to support me 24*7 and also took my personal and medical care. They are the professionals who help me to recover quickly and fast so that I can resume my normal daily activities and live a better and improved quality of life. The most important factor that plays a role in changing my life and mindset was meeting another woman with spinal cord injury. 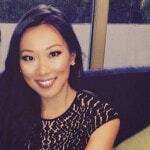 She is the one who inspires me to live the life fully and independently despite paralysis. She is a woman who doesn’t care that what anyone thought of her and she lives her life in an outgoing and confident way. She was very tough and a strong lady. She showed me how to face the challenges and not be afraid of strangers, and how to put myself in situations where I was probably too afraid to before. I was always timid, and feel like she was in my life for a reason. She showed me how to be strong and fight with the situations to overcome and how to live a stress-free and happy life. Why I choose hospitals under Spine Surgery India? 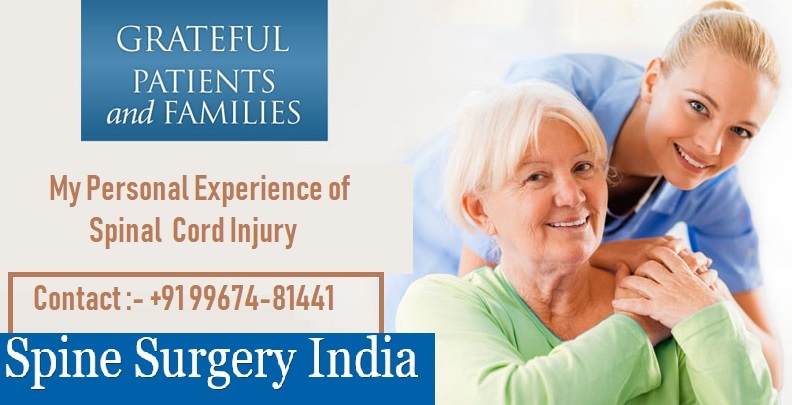 The reason behind choosing the hospitals under Spine Surgery India was that the surgeon at these hospitals understands that the Spinal Cord injuries are traumatic for patients as well as for their families. According to the surgeons at the hospitals under Spine Surgery India, these life-altering injuries cause disruptive changes in every aspect of patient’s lives, and there is a lot of new information to navigate and understand. Their main aim is to educate spinal cord injury survivors and their families by sharing the stories of other survivors which build the confidence of the patient and their family to fight with the situation and this changes their outlook. The reason they share the story of other people who had undergone for the Spinal Cord Injury is that they make everyone to face the reality of a life-altering spinal cord injury and knows that their life is going to be different. However, the ways that the injuries impact individual bodies and change their lives differ from person to person. For some spinal cord injury survivor can result in overwhelming darkness of depression and anxiety. On the other hand, it is a fuel to overcome from the challenges and take back the lives which I have experienced after meeting the woman who had undergone for the Spinal cord injury. The spine surgeons at these hospitals design an aggressive activity-based physical therapy to maximize the recovery in person with spinal cord injuries. Within a few days of my Spinal cord injury I was able to stand and walk with the braces and today I am very active and perform all my daily routine work without any help. My message to all the people who have suffered from the spinal cord injury is that they should remember that throughout your recovery and in your new life you are not alone. Your family and friends are always there to understand you and to support you. Do not leave your hope as your inner strength is one of the most important keys which help you to overcome from this phase of life. Yes, it’s true that spinal cord injury can change your entire lifestyle but the hope of living again will help you to get back to your normal life within one year after your spinal cord surgery. 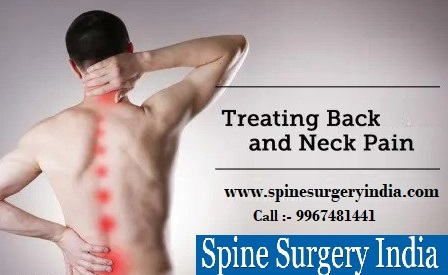 If anyone dealing with spinal cord injury to get back to their normal life the best way to get your surgery done by the highly qualified and experienced surgeons at the hospitals under Spine Surgery India. 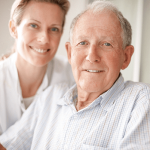 What is the Success Rate of Surgery for Spinal Stenosis?